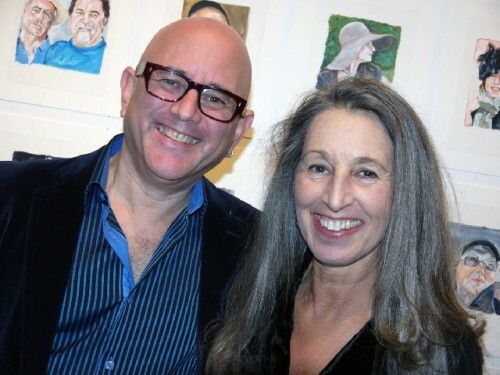 Michael Bain and Carole Freeman, who submitted all photographs. 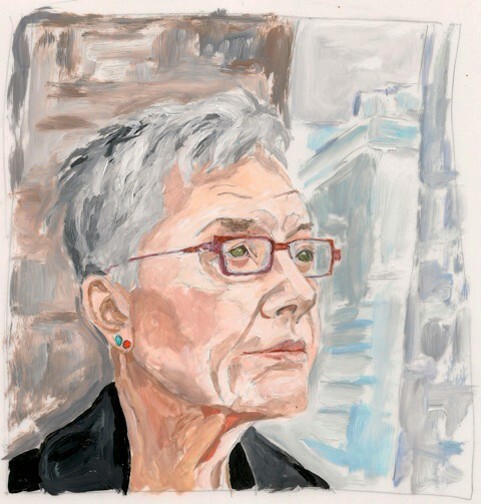 First a Facebook photo of Astrid A. Hiemer, now a painting by Carole Freeman. 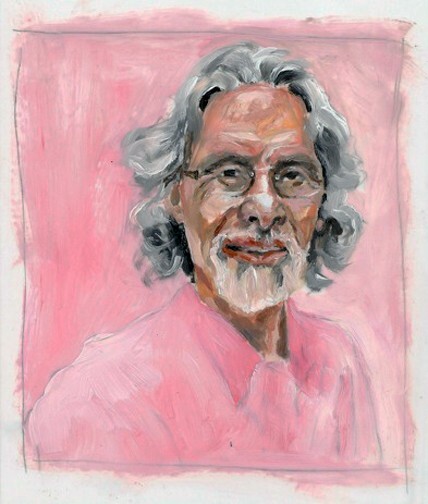 Bob Manko and a series of Freeman’s portraits submitted as a slide show. 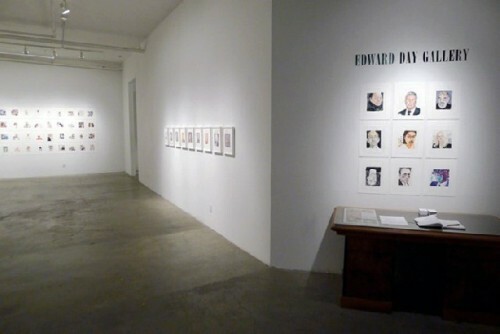 Opening day at the Edward Day Gallery, Toronto, Ontario, Canada. Jordan Banks, Managing Director, Facebook Canada, at the microphone. 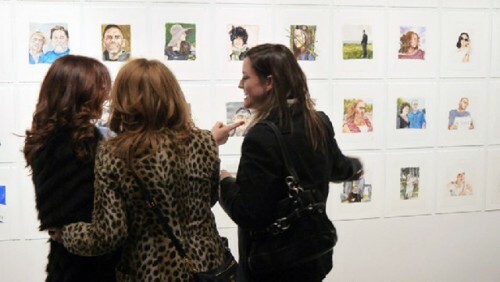 At the vernissage, discussing portraits. During opening, young couple viewing show. 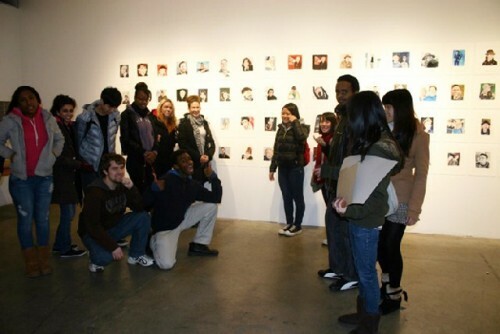 The school group at the gallery. 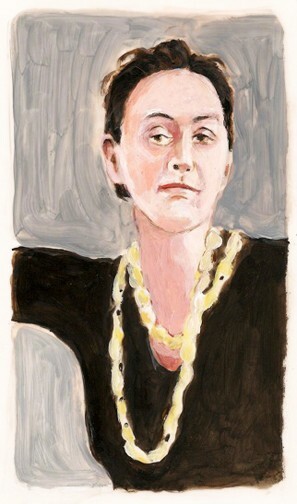 Following are three of C. Freedmanâ€™s portraits. This one: Alan Feltus. 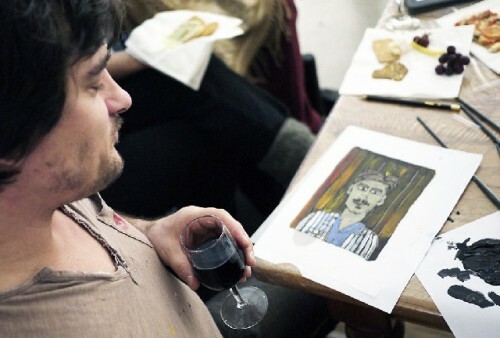 A paint party participant enjoying the evening. A baby can be the subject matter too. A vantage point of the paint party. 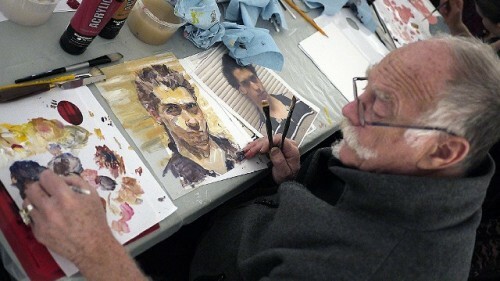 Several portraits are well under way: Acrylic on mylar. 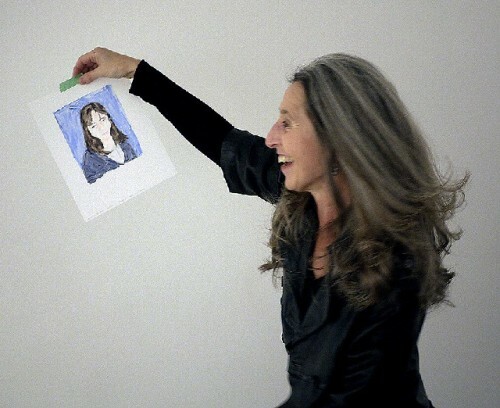 Carole Freeman, holding up a participant's portrait, is just delighted. 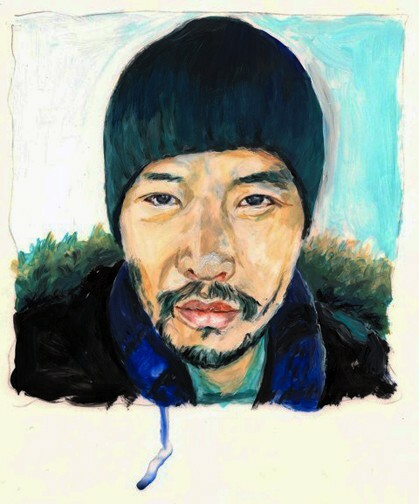 Suddenly, there it was on my Facebook page: A painted portrait of my Facebook photo! 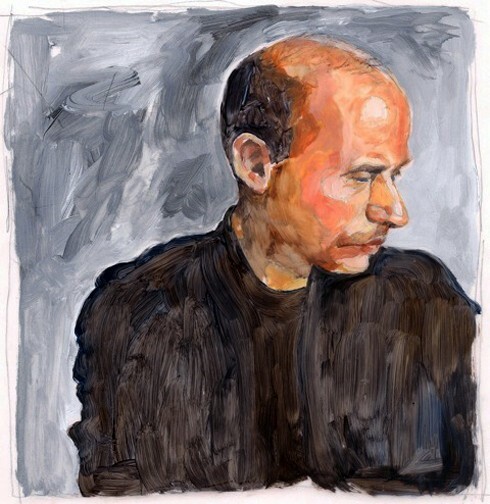 I was positively stunned, I wrote on my page and encouraged my 3000 plus readers to look into Carole Freeman’s project and exhibition of friend me: Portraits of Facebook. 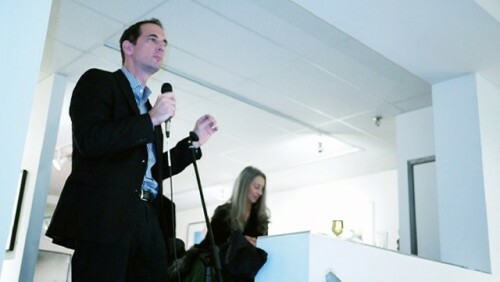 It was a December 2011/ January 2012 show at the Edward Day Gallery in Toronto, Canada. 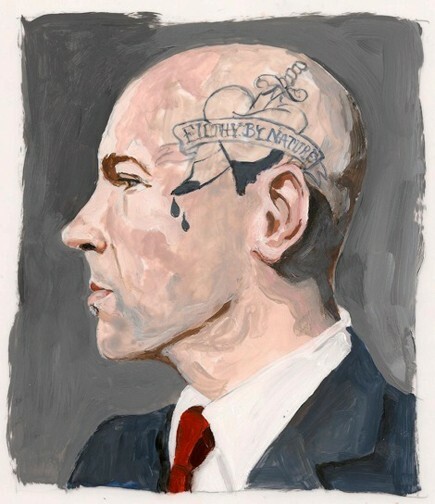 Meanwhile, some of my Facebook–friends (Fb) have left messages under the portrait painting on my Fb-page. I suggested to them: Stay tuned. 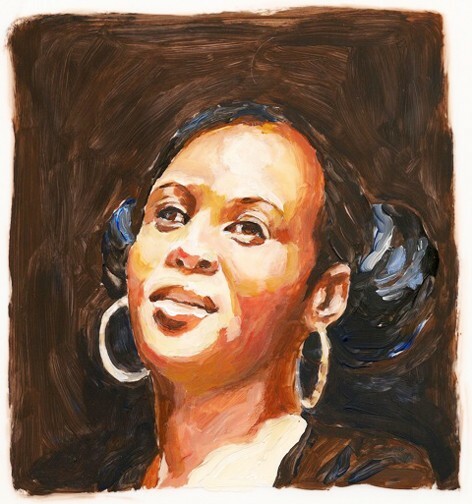 Freeman, who has painted people throughout her career, painted more than 200 Facebook portraits, chosen among her Fb-friends. 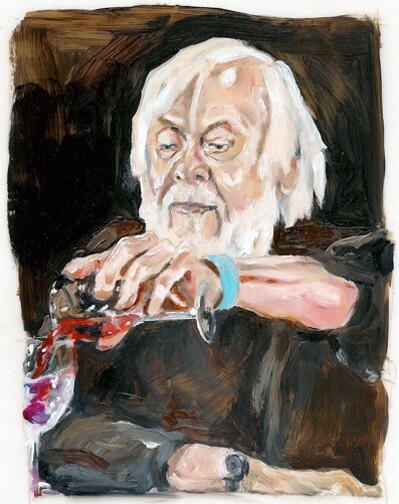 The paintings in her post expressionist style in acrylic on mylar, each at 8.5x11”, appear to be quick, raw and strong studies of mostly unknown or known members of international art or cultural communities. She was drawn to her subjects, while carefully studying people’s choices of profile photos, gestures, clothing and facial expressions. 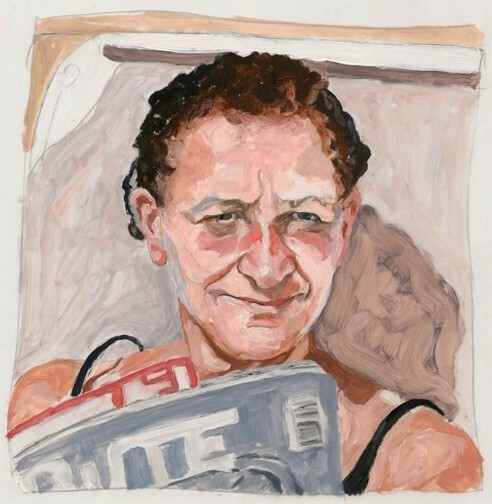 The sequence of events, which led to the series of paintings, seems to have started with Carole discovering, that she could play Scrabble with her family in Manitoba on Facebook. She had returned to Manitoba for several months to care for her dying mother. There, she and family members had passed time playing Scrabble and were now continuing the activity with Carole back in Toronto. Scrabble made her look more carefully at Facebook and its possibilities of connecting world-wide. She began looking at Fb-photo choices and eventually began painting as previously described. For more than one year, Freeman and Michael Bain of 4000degrees, a Creative Management Company, have been working together. Bain has artists from across North America and in Europe under contract and specializes in taking ideas and concepts to greater fruition. 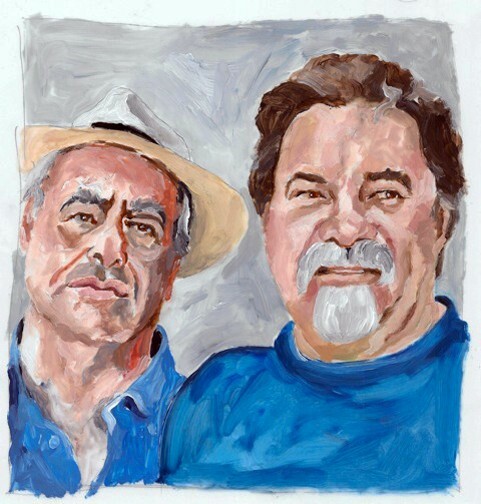 Painting Facebook portraits was such an idea and concept, that Bain and Freeman are now taking globally, as partners of Friend Me Projects. 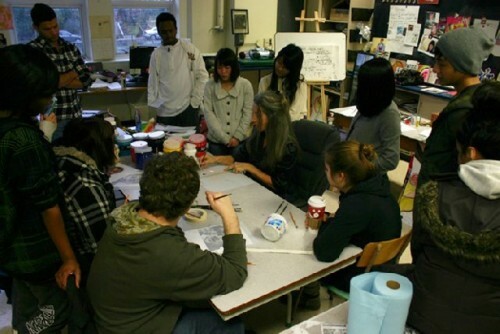 Current elements of the projects include the exhibition that closed on January 11; Face the World, global paint parties; and Friend Me Projects Goes to School. Other parts of Friend Me Projects are in discussion and a website is under construction. They have also formed a Non Profit Corporation for Friend Me Projects, so that future funds can be distributed to various foundations with a global reach. These funds will be raised via online and live auctions. Portraits from Freeman’s exhibition, from the first Face the World Global Paint Party on January 5th in Toronto, and other international paint parties would provide a beginning. Then, more ideas are filling the airwaves! But to give legitimacy to the global involvement, Bain and Freeman are currently establishing a frame work, which would allow people and groups to participate on various levels. 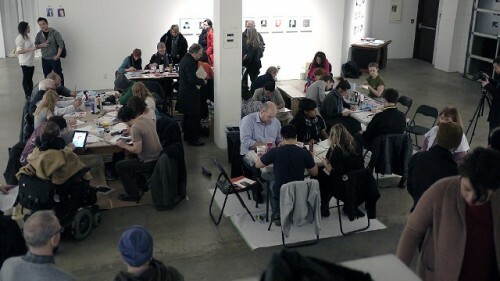 And, they describe their goals as: “Friend Me Projects is a global initiative to celebrate friendship, connection, and common humanity through art, education, social media and technology.” The exhibition at the Edward Day Gallery, Toronto, became a wonderful success with much media attention in print, television, radio and online. 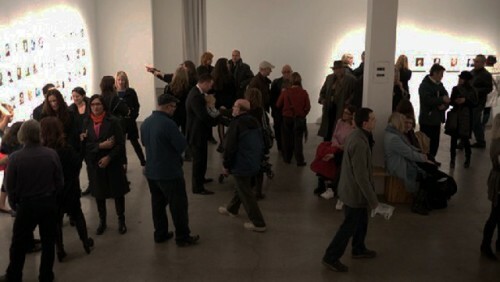 The Opening of the show on December 1st, 2011 was dotted with special guests. No wonder that Facebook, Canada, took notice and their CEO, Managing Director, Jordan Banks, spoke eloquently. 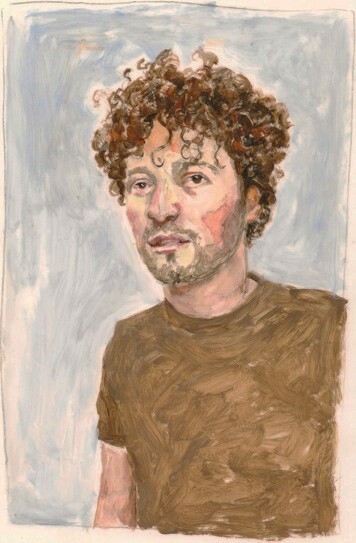 He loves the Friend Me Projects concept and Freeman’s portrait paintings. He will follow progress of the projects and will be involved in media interviews. The newly created Arts Fund at the Foundation will support grassroots organizations in Sub-Sahara Africa, who work with AIDS patients via medical and arts projects. A major goal of Freeman and Bain's Non Profit organization is to make peaceful and monetary contributions world-wide. 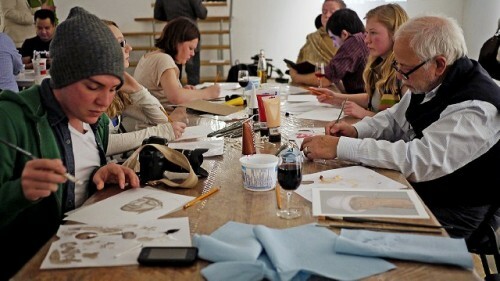 Face the World, the first global paint party happened on January 5th at the Edward Day gallery. The wonderful energy at the event, which was open to all, speaks volumes in the photos that are attached to this article. 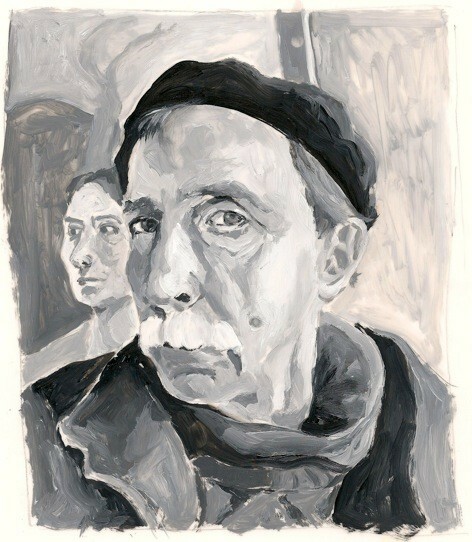 Beautiful portraits were created by mostly non painters. There were 50 and more individuals, friends and families, who came to the event and spread joy! 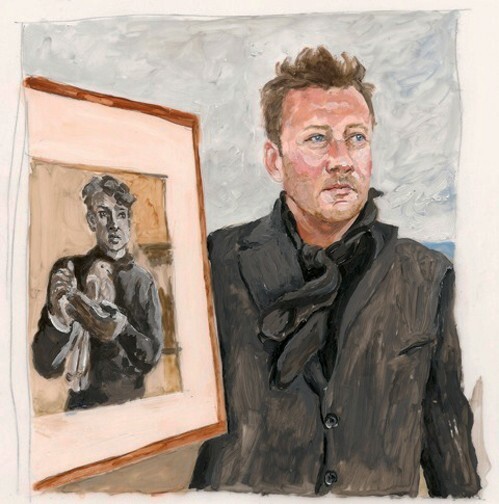 Some of the portraits of the evening will also be offered at auction. 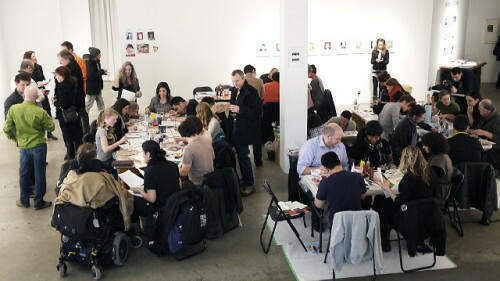 Alfredo Tan, Senior Director of Facebook Canada, had intended to attend the Face the World paint party for 45 minutes. He actually stayed for three hours, clearly drawn in by the activities, mood and great happenings. Facebook, Canada, continues to be interested in the development of Friend Me Projects. 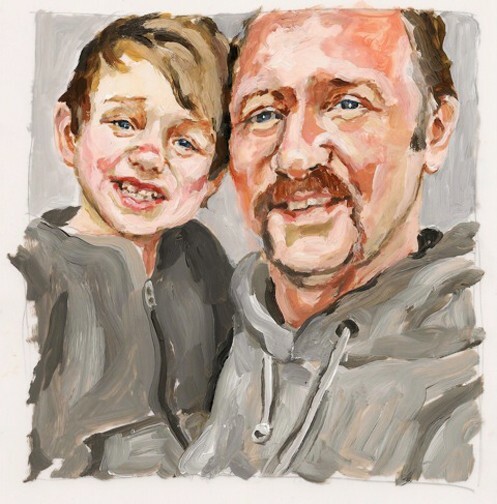 Carole had created a large mural for a ‘Rally for Kids with Cancer’ a year ago, which was titled ‘Faces of Hope.’ She and participants from all walks of life painted 100 portraits at a pit stop during the rally. She loved the experience and outcomes, now a building block toward the new undertakings. 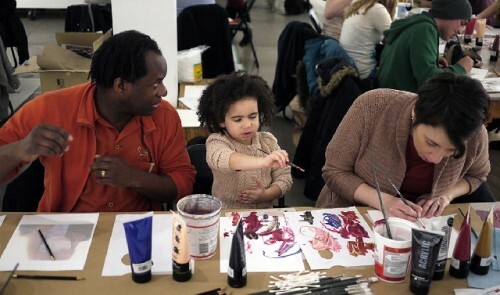 Michael and Carole hope that many paint parties of Face the World will occur everywhere. Plans for a smart-phone App is also in the works. Imagine that! The ultimate goal is to engage each of the 800,000,000 members of the global Facebook community to paint just one friend – resulting in 800,000,000 paintings – and most likely the biggest art project in the world! 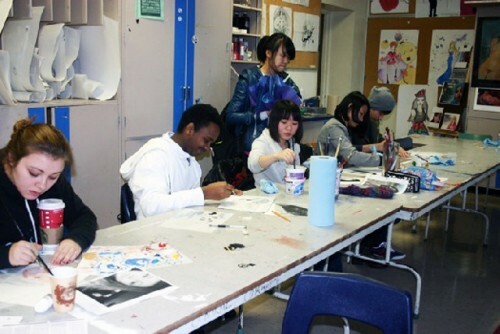 Freeman held a workshop of Friend Me Projects Goes to School at the Central Commerce Collegiate High School in Toronto. 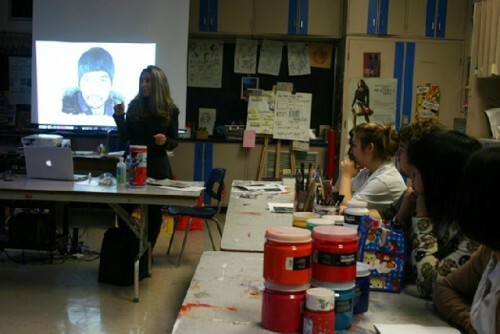 She spent four days with grade 11 students, who painted from their own profile photos. 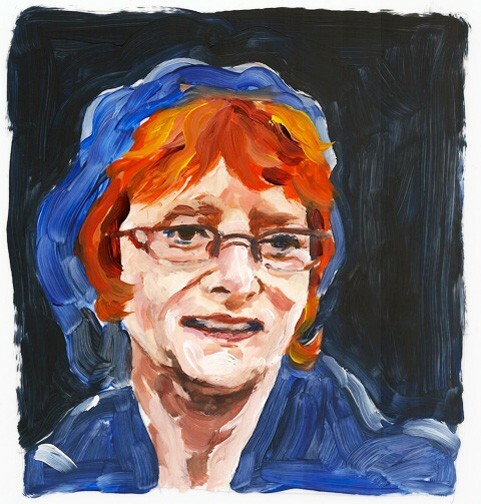 Carole showed a selection of work from the exhibition as well as a one minute time lapse video, depicting one of her portraits. The video can be seen online. Student paintings will be exhibited at the school and at the website and the entire class went to see Carole’s exhibition at the gallery. Meanwhile, several other schools inquired and workshops are being planned. Now that Freeman and Bain have ignited a Facebook-storm, they are well on their way with various Friend Me Projects to connect the real and digital world peacefully and Facebook-friendly. 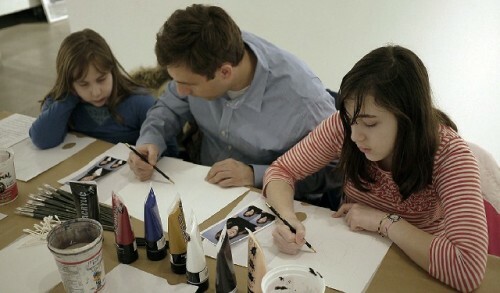 It has been their experience that “Everybody wants to get involved.” So, we at BerkshireFineArts.com, as members of an arts community are making a commitment to hold a Face the World Paint Party. Now, it’s up to you, the reader, to also get inspired in a small or big way! 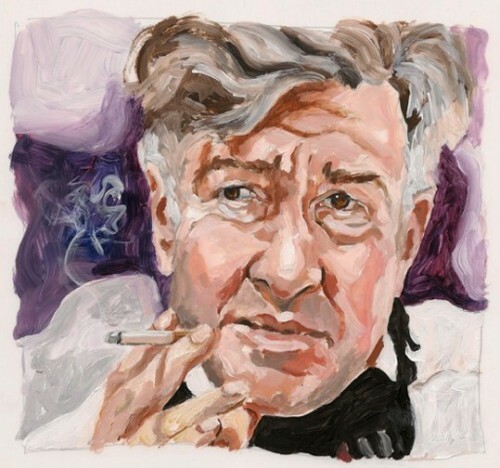 "I am a leery FB user, but this piece, Astrid, really intrigues me. I might even find a way to have bright red hair!"